Montecarrubo is planted on the crater of a volcano that has been extinct for more than two million years and is cooled by constant sea breezes. Run according to biodynamic practices, the wines are all based on Syrah grapes, here 50% balanced with the addition of 25% each of Merlot and Cabernet Franc. 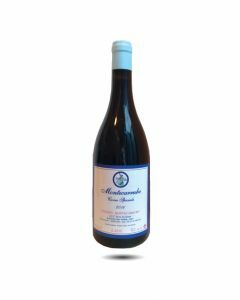 On the nose the wine has notes of blackberries, blueberries and wild herbs. 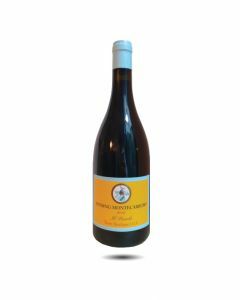 The palate is full and rich and very lively with good plummy fruit flavours and a touch of freshly grated black pepper. 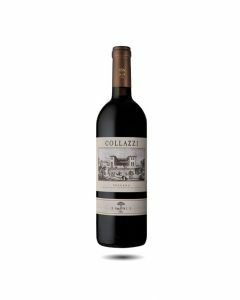 On the finish there is good acidity and refreshing, silky tannins. A lovely wine, still young for the moment which will age well for at least another five years. Made from a blend of 80% Syrah, 15% Cabernet Franc and 5% Merlot, this wine is made partially from grapes grown in the Vigna Grande single vineyard which lies on the edge of an old fresh water volcano which was surrounded by the sea and ancient coral reefs can still be found there. The soil varies from limestone to black volcanic dust with patches of volcanic clay. It is fermented on natural yeasts, goes through malolactic fermentation and aging in barrel and is bottled without fining or filtration. For this reason, it is a good idea to decant the wine before serving, as there may be a natural deposit in the bottle. Cuvee Speciale has a bright dark purple colour and has lovely, welcoming aromas of black fruits with spice and mint flavours. It is elegant, silky, very fresh and pretty with an almost Burgundian like texture. It is a delicious wine to pair with Mediterranean dishes.